Not to be outdone by our friends in the U.K., California is now requiring pet stores to only sell cats, dogs, and rabbits from shelters or non-profit rescue organizations. The Pet Rescue and Adoption Act went into effect on January 1 and discourages stores from buying from private breeders with a $500 penalty per animal if they choose to ignore the new rule. The law is meant to bring an end to puppy mills and kitten factories which so often put animals at risk. The move comes shortly after Britain's ban of the sale of dogs and cats in pet stores altogether. California is the first US state to pass such a law. 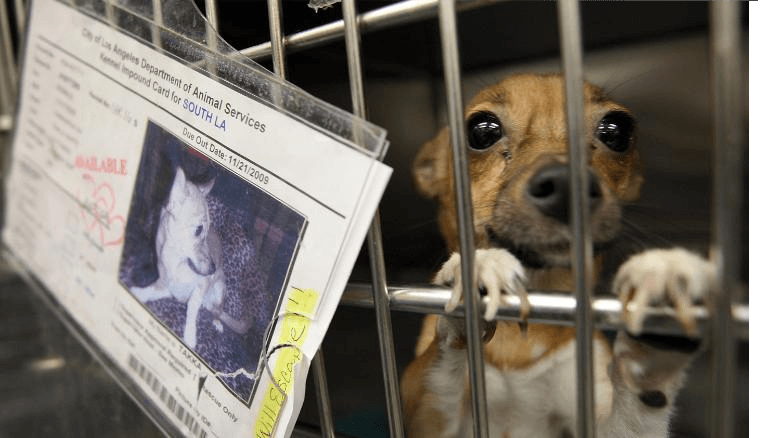 Assembly member Patrick O'Donnell introduced the legislation and called it a "big win for our four-legged friends" and also for taxpayers, who he said spent more than $250 million a year to house and euthanize shelter animals. All animals must have paperwork to prove from where they were obtained and the rescue or shelter must be publicly displayed for consumers to see. A world where more cats, dogs, and rabbits are saved is a world in which we all want to live.